Acrylic and lucite often get lumped into the same category when it comes to jewelry. They have a plastic/mod feel that is a lot of fun to play with. These materials also offer a great array of colors and they don't carry the same price point as your standard metal pieces. What did I tell you? A versatile statement necklace under $40. 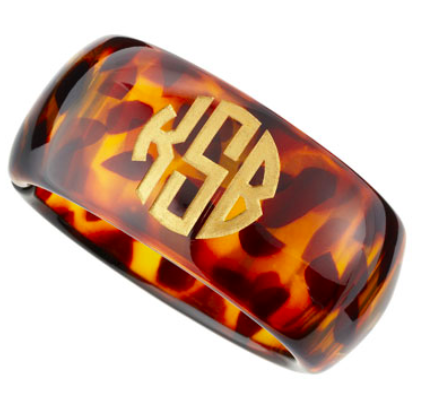 A classic statement bangle that is a great gift and under budget. Choose your state, choose your color, choose your metal. Such a fun and personal piece. 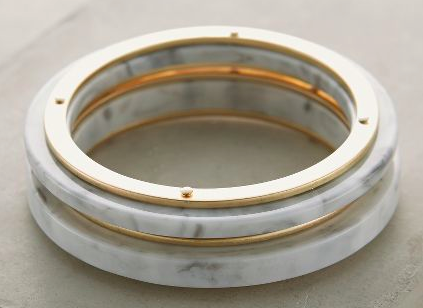 How cool and modern are these bangles? I love the mix of gold with the grays and blacks in the bangle. 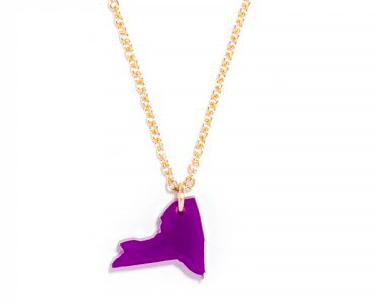 Simple acrylic and lucite jewelry is a great way to spruce up your accessory game without breaking the bank.